Know the Difference Between Asthma & COPD? Our Marin, CA Home Care Agency Can Help. Chronic coughing. Shortness of breath. Wheezing. Think it might be an asthma attack? 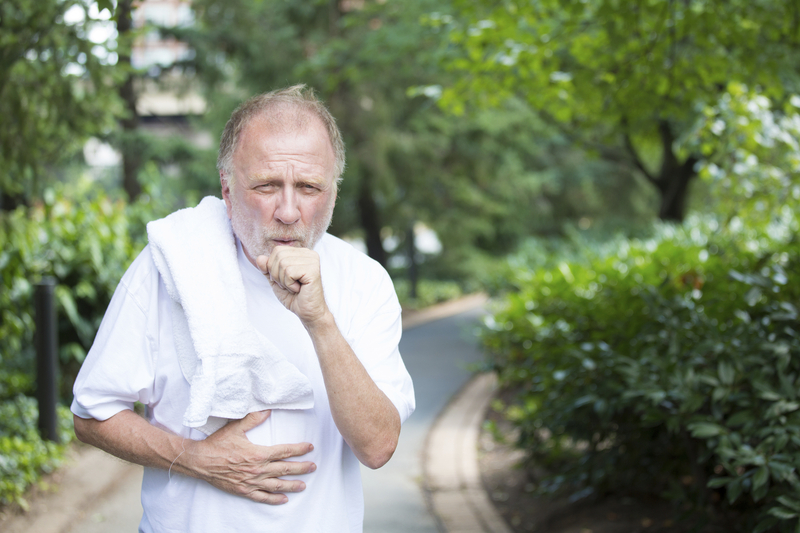 Before reaching for the inhaler or those over-the-counter cough drops, however, it might be time to consider if another culprit – COPD – could be a factor. As many as 12 million Americans are currently living with COPD (and another 12 million who are likely to have the disease but have not been diagnosed), so it’s important to figure out the real cause behind the cough. Environmental factors such as cigarette smoke, dust, and pet hair can trigger asthmatic symptoms like coughing and shortness of breath. Usually displays in patients in childhood, often by age 5. Thought to be caused by genetics. Environmental triggers can exacerbate symptoms like coughing and difficulty breathing, but these symptoms are often present in a milder form regardless of air quality. Typically diagnosed after age 40. Caused mainly by cigarette smoking (in up to 90% of all patients), or by secondhand exposure to air pollutants. Although medication choices for both conditions are often similar – bronchodilators or inhaled steroids – treatment plans vary between the two. Asthma patients are urged to keep away from known triggers, i.e., by staying inside when the pollen count is high and steering clear of secondhand smoke. Those with COPD face a more intense therapeutic approach, often including prescribed oxygen, pulmonary rehabilitation to maximize breathing capacity, and, most importantly, stopping smoking. Naturally, it’s critical to schedule an appointment with the doctor if you’re concerned that your senior loved one is struggling with any lung condition. Currently, there’s no cure for either asthma or COPD, but both conditions can be much better controlled when properly diagnosed and treated. Although COPD does cause permanent, irreversible damage to the lungs, with correct treatment, the progression of the disease can be slowed down, its symptoms made more manageable, and quality of life maximized. To help your senior loved one remain safe and healthy at home, contact Hired Hands’ in-home care experts at 866-940-4343.